Hello, my sweet friends! 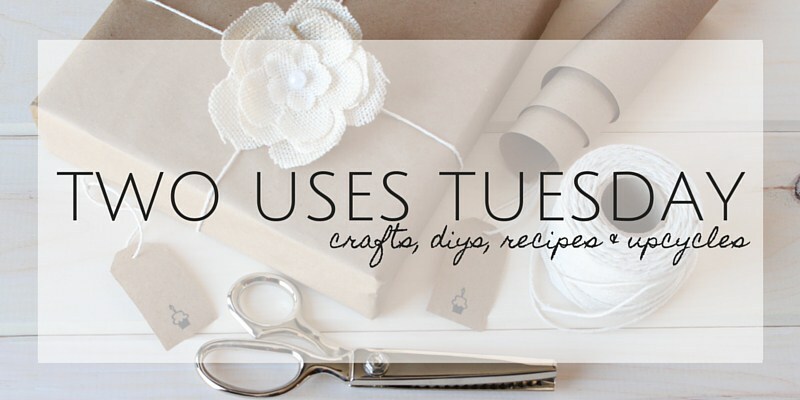 Thank you for partying with us one more week at Two Uses Tuesday. Last week, you guys shared 168 AWESOME creations! You guys rock, let’s get into the party!! Just a heads up: Two Uses Tuesday 91 that goes live on Monday Aug 1st will be a 3 week party. 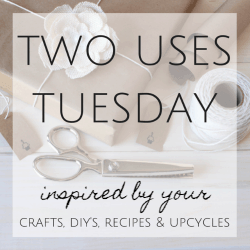 Two Uses Tuesday will begin on Aug 22nd. Sarah will be pinning and tweeting ALL birthday related posts in celebration of August being her birthday month. Get those birthday themed posts ready!! Ice cream is always good, but it’s a little sweeter when it looks cute. With just a hat box you can make your own vintage ice cream holder. Enjoy! Looking for a good cookie? How about a flour-less peanut butter oatmeal cookie? Yum! Sweet, good for you AND you don’t need an ice cream maker?! This cinnamon ice cream with apple compote might just make summer better! Summer is all about picnics, BBQs and road trips. Keep the kids busy in the car with a DIY travel chalkboard. I’ll admit, okra scares me. But wrapped in bacon… chili bacon okra bites kinda make my mouth water. 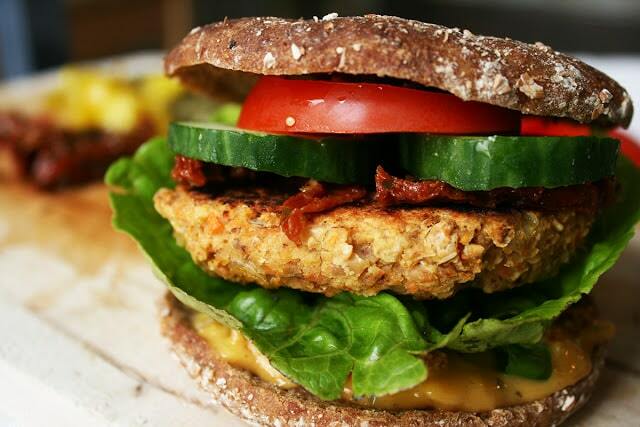 I love eating healthy and this vegan and gluten free burger Maisy shared last week caught my eye. I am definetely making some!. 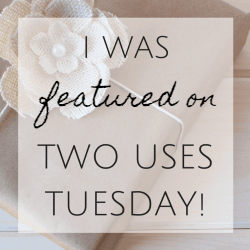 Congrats to this week’s featured bloggers!! My pleasure!! It’s a great way to have kids entertained. Thanks for stopping by and share your projects with us! Thanks for the party Pili! Have a nice Tuesday! THank you Pili for hosting a wonderful party, cant wait till next week!